I've been digitizing audio and video tapes, in an amateur way, for several years. Two recent conversations with friends showed me that they did not know how quickly and cheaply it can be done and so this page was written. The VHS to digital conversion is not difficult in itself, but to do it properly is. Forums such as DigitalFAQ and VideoHelp can offer loads of help as to what video players, capture devices, software and techniques can improve the quality of video from tape. One thing you must know from the start is that you are not going to get DVD quality video from a 10-year-old video tape. It is just not possible. Most devices capture the video at around 720 x 480 @ 30 frames per second (fps) for NTSC tapes and 720 x 576 @ 25 fps for PAL. Computers simply are not made to capture analog video so a purchase is going to be necessary. Internal analog video capture cards are a bit of a speciality and the cost varies from around $100 for a AVerMedia CE310B, which is what I have, to over $1,000 for some of the Osprey cards - but those do have multiple inputs. Being more of a speciality device there are not that many manufacturers. Some of the best known are AverMedia, Blackmagic, Hauppauge and Osprey. Be aware when buying one of these that some are designed for capturing video from things like security cameras and do not capture audio as well. Another way to go is with one of the analog to USB capture devices. I used to have a Belkin Videobus II which gave me years of service, but unfortunately there were no drivers available for it after Windows XP. 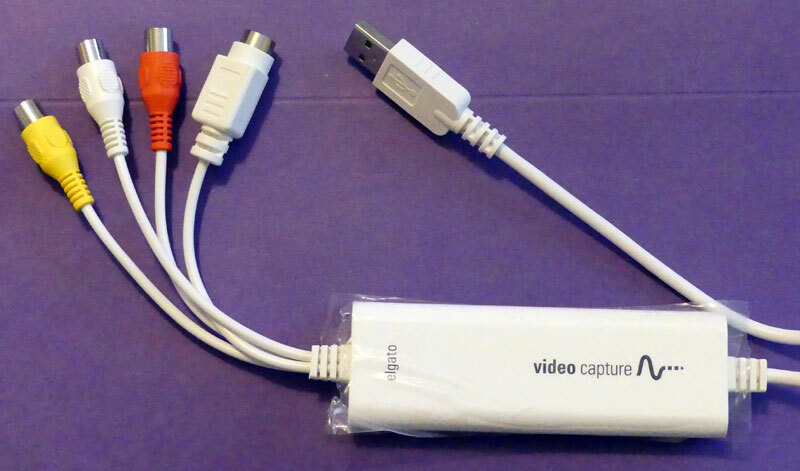 I now have a Elgato Video Capture device, but these devices are available for less than $10. The differences means that you cannot play tapes made for one standard on machines designed for another. Even if you bought a PAL VHS player for PAL tapes in the US, then you still can't get a decent picture on your TV from it because the TV was designed for NTSC signals. If you want t odo something like this then you need a player that can play both standards and output to NTSC. The best of all worlds would be a player that can play PAl and NTSC tapes and output to either PAL or NTSC.things do exist, one (apparently, I don't have any of these) is the Sony SLV-X825-MN another is the Aiwa HV-MX100, but these machines are several times more expensive than normal VHS players. Another, cheaper, way to do it is to get a PAL/NTSC converter like this one, but, of course, you are still going to need a VHS player capable of playing PAL and/or NTSC tapes. 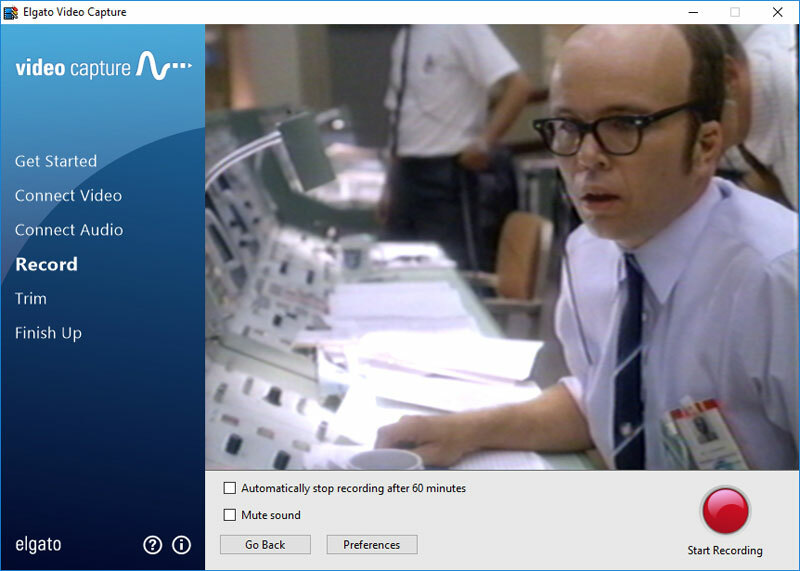 None of the above really matters if you are simply recording to a computer rather than watching the tapes on TV; most of the software used will convert between the various formats. What I did some time ago was get a player capable of playing PAL tapes in the US. What I got was a Mitsubishi MD3000. These were made for medical use in ultrasound machines. PAL gives, arguably, a better picture than NTSC due to its higher number of scan lines and that's why PAL was used in US medical equipment rather than NTSC. Going digitial helped but there is still one major difference, and that is the framerate. In countries that use NTSC, which is mostly North America, then the framerate is 30fps. Countries that used SECAM use the PAL standard which is 25fps, but most modern digital equipment can differentiate and display both framerates. There are lots of discussion around about what is the best VHS player for restoring tapes, like this one on DigitalFAQ, and some of the best suggested ones are usually JVC prosumer machines. I suspect that they'll me that what I use is not that great a choice! Depending on what you want to do and how often you think you'll be doing these projects, the best advice I can give is read some of these discussions and get the best machine that you feel you can afford. Here's a starter guide on what to look for, again on DigitalFAQ. 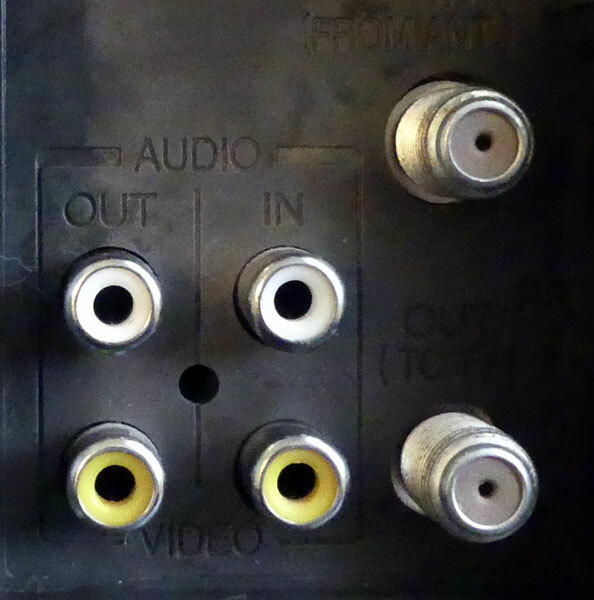 What this does is allow a connection between RCA conposite connections (white - left audio, red - right audio, yellow - composite video) or s-video to a USB port. Where possible use the S-video connector rather than than the yellow composite one as it will give a better video quality. Here I am using a Sylvania KVS600A VHS player. Something I didn't know for a while after getting this machine was that the "Channel" buttons on the front of it act as the tracking control while it is playing a tape. Apparently several other VHS players share this feature. Simply match the colors and connect the player to the capture device, then plug the divice into a computer's USB port. For some reason Sylvania used different shades of yellow for both the audio left and the video but it is clearly marked which is which. The Elgato software is very easy to use and requires little user intervention. You can adjust some aspects of the video such as brightness and contrast, and change the audio volume and that's about it. Once the video has finished you can trim it, before saving it as a MP4 file. I think it gives very good results but some people do not like the lack of control it has. There is some other software that can use the unput from the the Elgato using the USB port but a lot cannot. Adobe Premiere for example is designed to only capture through a digital video (DV), HDV or Serial Digital Interface (SDI) ports such as Firewire and iLink. It cannot capture from a USB port. One editor that can capture Elgato's USB input is VirtualDub. VirtualDub is an older but full featured capture and processing utulity used for AVI files. 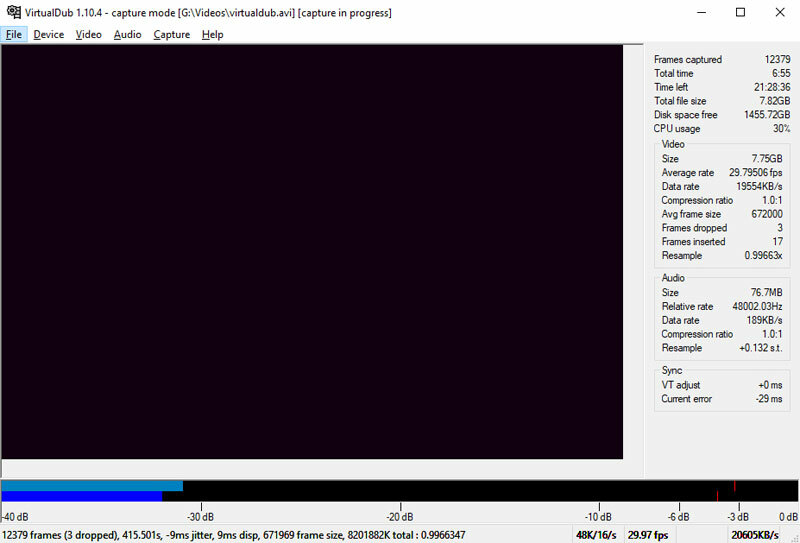 VirtualDub is a video capture/processing utility and more like a command line editor with a graphical interface more than anything. This is because it produces a workflow from its various filters and effects, then renders them together. I did a quick and very unscientific test. VirtualDub can capture from Elgato's USB input. I captured that input then simply saved the file in VirtualDubs native AVI format. The audio is not so much of a problem as the video and I have muted the audio in the following examples. Both Elgato's MP4 and VirtualDub's AVI file were opened in Adobe Premiere and arranged until the clips were side-by-side. The file was then saved as an MP4 file and uploaded to YouTube. Pausing almost anywhre in the short clip shows that VirtualDub made a slightly better job of the video. As I said, this is very unscientific. I have no idea what the Elgato Video Capture does to the video; the Elgato saves to the lossy MP4 format while VirtualDub saves as uncompressed AVI. Both clips were processed exactly the same in Adobe Premiere and I have no idea what further compression YouTube did to the file when I uploaded it. I looked through my collection of tapes to find one that would be difficult for any of the transfer methods to use. By coincidence I found one which is a documentary of the Apollo 13 accident. It contained footage of the Apollo 11 tickertape parade, and also by coincidence, I found a good copy of the same parade. The video tape I used is almost 25 years old, being produced in 1995, and it used news footage from 1969. The tape was also produced using Extended Play mode which used 1/3 of the tape that normal recordings used, but reduced the quality of it. 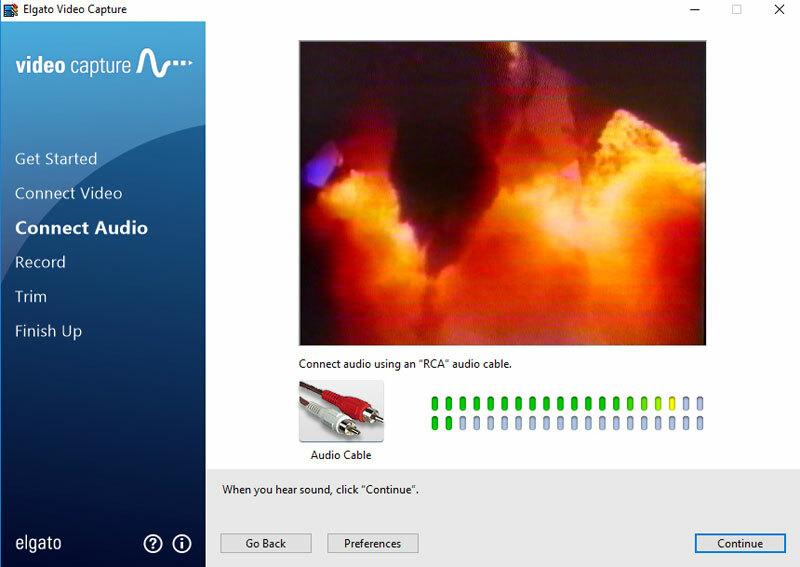 Above is a comparison of VirtualDub capture on the left and the Elgato Video Capture is on the right. Below is what the actual footage should look like. VHS tape was never HD quality and I doubt any processing can get it back to perfect, but I know some people on the various forums are very good at restoring video. I wouldn't know where to start and not even going to attempt it. OK, maybe some time in the future. Every article I have read on the subject says that no matter how good or bad the video quality is, it is the audio quality that is most important. People will watch pixelated, grainy, out of focus, shaky video but not if the audio is rubbish. Luckily, audio on VHS tape should not be much of a problem. Hi-Fi tapes were produced, a lot of them using Dolby noise reduction. 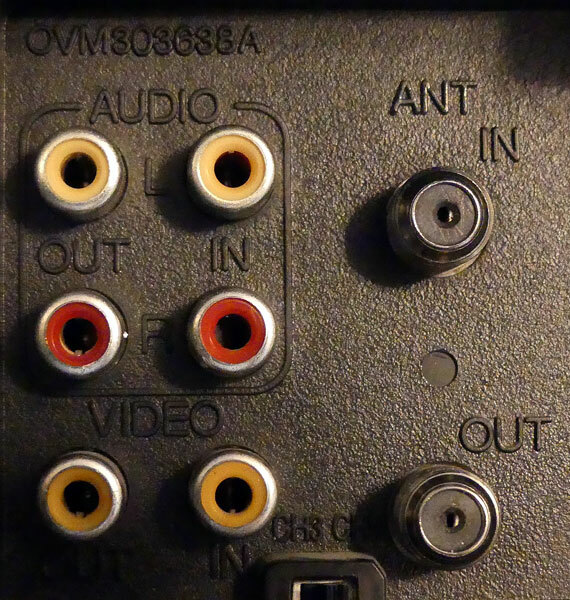 While writing this article using a couple of old VHS players and tapes I only came across one problem and that was with two older VHS VCRs - a Thomson VR526 and a Samtron Samsung SV-D21A and that is because neither has a stereo audio output. 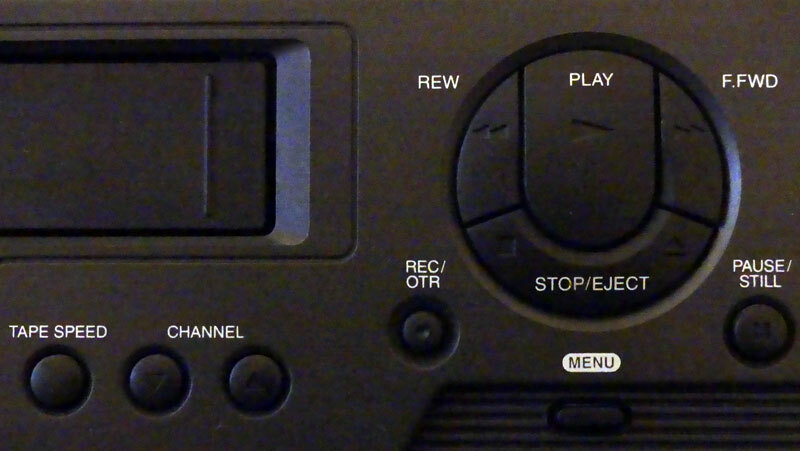 Can you see the problem with the images of the VCR outputs? 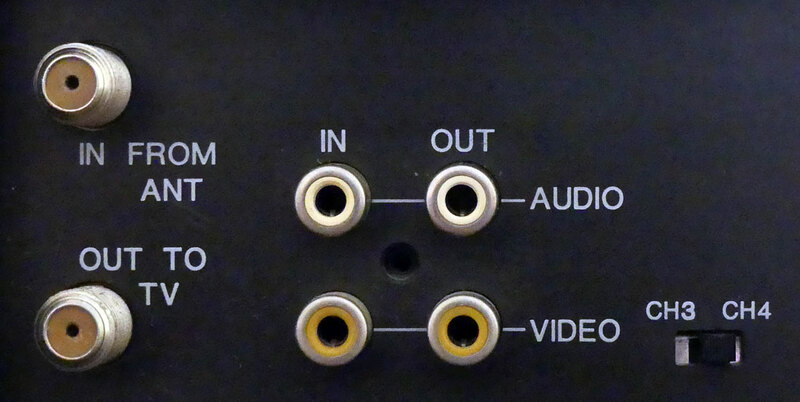 There is only a single audio output channel! This comes up often in various places and the usual answer is "you'll just get a mono audio output." That is true as far as it goes, but what you actually get is a mono output in a single stereo channel. What that means is all the audio is, depending on how you wire it up, is audio in just the left or right channel and nothing at all in the other. As far as the Elgato Video Recorder and other software is concerned that is what is going to end up being recorded in the video they produce - a single left or right channel of audio. They do not not reprocess the audio and duplicate it in both stereo channels. Audacity and other audio / video editors can easily duplicate a single mono channel into the two stereo channels. To me, it just seems easier to split the signal into two channels before it reaches the recording software using a simple phono splitter. A single line level split using a y-connector or y-cable will not degrade the audio. Whichever method you use, doing it in software or using a splitter, you will not get true stereo as it is just a duplicated mono signal, but at least it sounds better than a single mono single in one ear.